Compressed Air Systems enclosed rotary screw air compressors provide the same build quality and components as our open frame models. 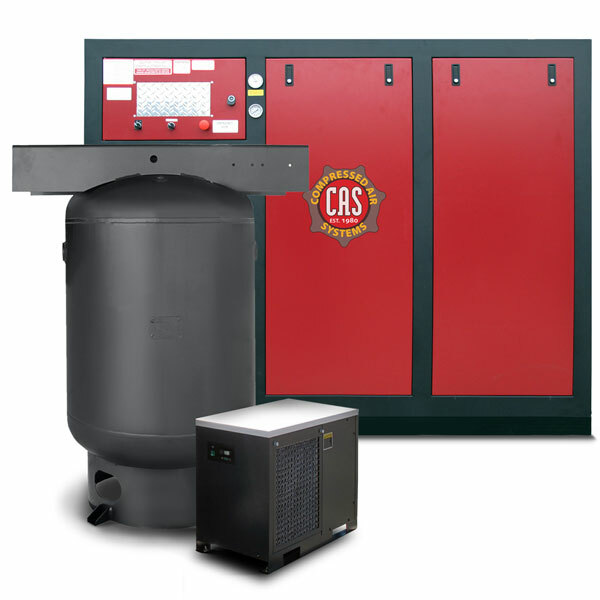 Wrapped in a sound attenuating enclosure, CAS enclosed compressors combine the lowest dBA levels in the industry with highest levels of reliability, efficiency and productivity available. A great fit for any mission-critical application, the 100% duty cycle assures the compressor can not be overworked. Quality compomnents, simple controls, easy maintenance and once a year oil changes make this a great solution for high-volume and high productivity environments.